Some of the West Midlands’ most recognisable faces have been included in a new Birmingham Post list of the region’s most influential people. 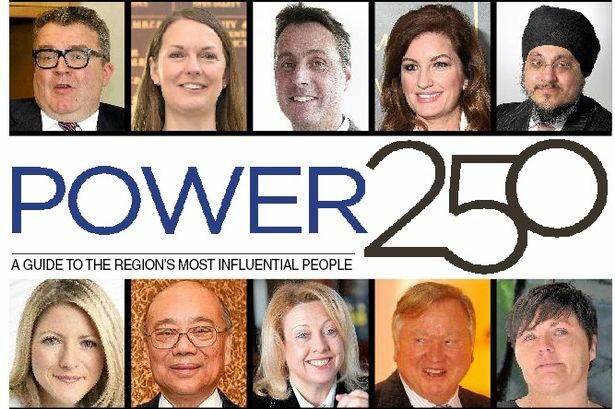 The Birmingham Post Power 250 identifies the senior figures in 25 sectors that are key to the future of the city. It includes established faces like council leader John Clancy, MP Jess Phillips and Police and Crime Commissioner David Jamieson alongside rising faces of the city like Immy Kaur, of Impact Hub Birmingham, Katie Trout, of the Greater Birmingham LEP, and David Oram, founder of social media business Brumpic. The Power 250 aims to identify the people who are shaping the city and its leaders of the future. Graeme Brown, agenda and business editor for Post publisher BPM Media, said he hoped it would inspire debate. He said: "Despite a tough economic backdrop, Birmingham is starting to live up to its potential and that is because of the work of some exceptional people – many of whom the general public might not know. "We decided to publish the Power 250 to shine a light on the people influencing our city and those moving things in the right direction. "We also want to inspire debate about how the city can improve and the part its population has to play." The Power 250 was selected by Mr Brown and Birmingham Post editor editor Marc Reeves, aided by experts from a variety of sectors in the region.